The France international is said to have rejected a new contract offer from Les Parisiens, meaning that he has just seven months remaining on his current deal. According to L'Equipe, the French champions are likely to consider his sale at the turn of the year rather than risking the prospect of losing him on a free next summer. It is added that both the Reds and Barcelona have initiated negotiations for the 23-year-old, who is said to want a significant increase on his current £55,000-a-week wages. 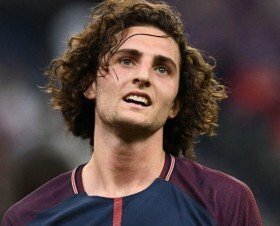 Rabiot has been a regular feature for the Paris giants this term with 15 starts resulting from the Champions League and Ligue 1 matches but this has however not enhanced his chances of signing a new deal. Meanwhile, the midfielder has also earned six caps with the France national team but his chances of a comeback appear bleak for the moment after voluntarily dropping himself from the back-up squad for the World Cup.